Isn’t a hug wonderful? To hold someone up close and tight as a way of telling them you love them? Well, scientists are developing the technology to make hugging even more convinient. Soon, you won’t even need the person next to you. You won’t necessarily need to be in the same room. Or even in the same country. 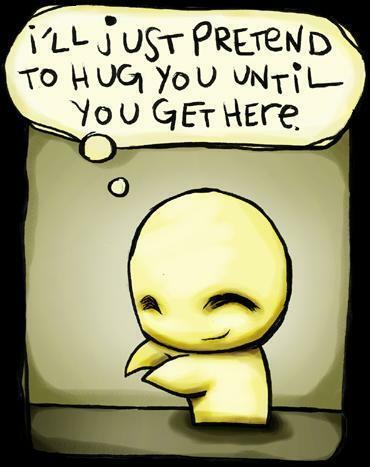 Scientists in Singapore are in the process of making equipment that will mimic the sensation and feel of a real hug, thereby allowing people who are miles apart to share a virtual hug over the internet. Posted on February 4, 2011, in Technology and tagged Computing, Hugs, Technology. Bookmark the permalink. 1 Comment. I treasure the knowledge on your website. Thank you!